Full details of the syllabus for each level are detailed in the Training, Assessment and Certification Scheme Training, Assessment and Certification Scheme; but in summary the following is required. Candidates shall be at least 18 years of age at the start of the course. 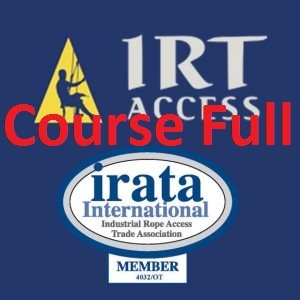 It should be understood that industrial rope access courses, at all levels, involve a certain amount of physical and mental exertion. Certain medical conditions are a definite contra-indication to the safe and successful completion of industrial rope access courses. Ideally, candidates should be in possession of an applicable full industrial medical certificate. As a minimum, we require you to sign this form to show that you are historically free of the conditions listed below and, therefore, there is no reason that would exclude you from participation in a rope access course/assessment.